The past decade has seen a surge in probiotic sales, thanks to an increased scrutiny on the powerful benefits associated with good bacteria. 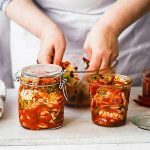 While there are many who cringe at the thought of consuming bacteria, probiotics are actually crucial for the functioning of your digestion, mood, and even bone health. 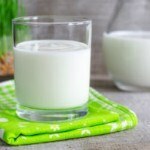 No longer are probiotics being relegated to supporting only digestion. In fact, it turns out these beneficial microorganisms may also support the immune system. Vitamin C used to be the main dietary component attributed to immune support; however, recent reports are showing that probiotics (as well as vitamin D) offer an added benefit. The question is, does your probiotic supplement contain the strains responsible for supporting immune health? 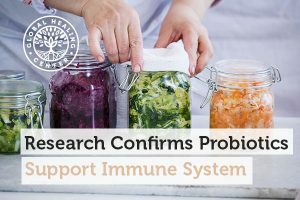 Do you have any experience using probiotics to support your immune system? Let us know how it worked for you in the comments! Rostyslav V. Bubnov, Mykola Ya Spivak, Liudmyla M. Lazarenko, Alojz Bomba and Nadiya V. Boyko. Probiotics and immunity: provisional role for personalized diets and disease prevention. EPMA Journal. Clinical Nutrition and Health Psychology. 2015, 6:14. doi:10.1186/s13167-015-0036-0. Smith TJ, Rigassio-Radler D, Denmark R, Haley T, Touger-Decker R. Effect of Lactobacillus rhamnosus LGG® and Bifidobacterium animalis ssp. lactis BB-12® on health-related quality of life in college students affected by upper respiratory infections. Br J Nutr. 2013 Jun;109(11):1999-2007. doi: 10.1017/S0007114512004138. Valentina Taverniti and Simone Guglielmetti. Health-Promoting Properties of Lactobacillus helveticus. Front Microbiol. 2012; 3: 392. doi: 10.3389/fmicb.2012.00392. Todd Runestad. Probiotics are now kings of immune health. NewHope360.